The health minister leading a campaign to drive down inequalities on the organ transplant waiting list calls on her colleagues in parliament to champion organ donation in their own constituencies and challenge perceived risks and myths. Launching a new toolkit for MPs in Westminster on 24th October, Jackie Doyle Price, Minister for Mental Health, Inequalities and Suicide Prevention will set out the stark disparity in organ donation rates between black and Asian people and their white counterparts. The toolkit, Organ Donation: Saving Lives in Black and Asian Communities, will provide MPs with information about donation rates in their own constituency, myth busters, FAQs and further support to help them to encourage organ donation in their own communities – particularly among those from black and Asian groups. Organ donation saves lives and is especially important for people within those communities where donation rates have been historically low. People from black and minority ethnic groups represent 11% of the UK population, but make up over a third of the kidney transplant waiting list and wait on average six months longer than white patients for a kidney transplant. “If you are Black or Asian, you will wait on average half a year longer for a life-saving organ transplant than if you are white. This is partly because there are lower rates of organ donation and partly because if you are black or Asian you are more likely to suffer from conditions which will require a transplant. “I know that this is of concern across all sides of the House. In order to change behaviour, we need a proactive ground campaign to engage with all our communities and encourage more people to join the donor register. "As MPs we are well placed to join in such a campaign. We are trusted voices within our communities and we can engage directly with our local groups to address some of the myths and perceived barriers that exist around organ donation. During today’s event in Parliament, which will bring together MPs from all parties, Minister Doyle-Price will highlight her own experience of tackling the issue in her Thurrock constituency, alongside donor families, transplant patients and medical professionals who facilitate and perform transplantation. Measures to support MPs to build trust within their communities and tackle some of the pervasive myths and taboos around donation, such as that registering as a donor will mean doctors are less likely to save a patient’s life in the event of an accident. Guidance on tackling religious taboos – a major barrier to donation in some communities. Although all major UK religious support the idea of organ donation and transplantation, many people from these communities are unclear about their faith’s position. The toolkit will help MPs to feel confident having these sensitive and difficult conversations with their constituents – and will include advice from NHSBT about setting up community events with faith leaders. “As co-chair of the NBTA and as a father of a son who passed away from multiple organ failure, I am very pleased that this initiative is being launched today at the seat of Parliament. “It is appropriate that it is the democratically elected leaders of our constituencies who have been given the first chance of showing true leadership to all of their populace, especially those from the hardest-to-reach black, Asian and minority ethnic communities. 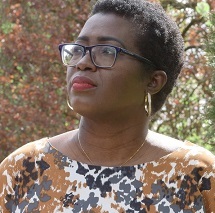 One of the guests speaking at the event in parliament on Wednesday 24th October to highlight the issue of donation among minority ethnic groups is Hilaria Asumu. Hilaria developed septicaemia, which led to multiple organ failure, at the age of 35 after suffering a miscarriage. She was later diagnosed with kidney disease, and in 2012 was put on the transplant list. She finally received a transplant earlier this year. Organ donation is done anonymously with a donor’s organs going to patients who are well matched. Although many BAME patients can receive a transplant from a white donor, for many the best match will come from a donor from the same ethnic background. While some people with a BAME background go on to donate when they die each year, this is not enough to meet the needs of all patients waiting for a transplant from those communities. Only 6 out of every 100 people who have signed up to the NHS Organ Donor Register and told us their ethnicity are from BAME communities. These groups are also much less likely to consent to donating a relative’s organs.